Menstruation is a healthy and normal part of being a woman. The arrival of one’s first period marks the change from girlhood to womanhood and is what makes it possible for women to become pregnant. However, today, more and more women are choosing to avoid this rite of passage. I recently started taking my birth control pills continuously to suppress my monthly periods, but is it really safe to keep skipping my period indefinitely or until I’m ready to get pregnant? Women have used birth control pills to occasionally skip a period or two, for years. Only recently has it become known as ‘continuous contraception’– a method to suppress your period altogether. Most birth control pill packages contain 21 hormone pills followed by 7 non-hormone pills, called the placebo pills. To eliminate monthly periods, women skip taking the last week of placebo pills and immediately start a new pill pack of the hormone pills. While never having another period again might sound appealing, some experts are concerned that the treatment is not entirely safe. “The problem that I worry about is really your breast health. Even when you’re on birth control pills, there’s supposed to be the hormone-free week and that’s a week that your breasts aren’t getting stimulation from hormones,” Dr. Jennifer Landa, gynecologist, hormone specialist and chief medical officer of BodyLogicMD told us. “It comes down to worrying about your breast health, and if this is really just for convenience, because there really isn’t any evidence that shows us that it is safe,” she said. 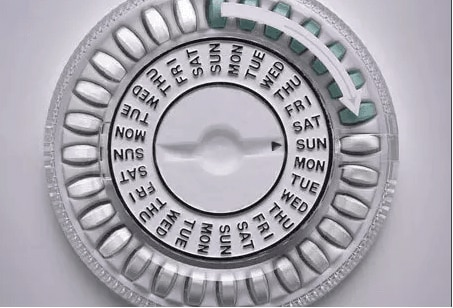 No long-term studies have looked at the health risks of taking continuous birth control hormone pills for more than a year and taking pills to skip all your periods has not been approved by the Food and Drug Administration (FDA). “It’s all a risk-benefit thing: If you’re on continuous birth control because you bleed so heavily with your periods that you can’t function, you can’t go out, you get anemic and that’s why you want to do continuous contraception, then that might be an option. But really, I think that women have a natural cycle for a reason,” Landa said. If you’re considering modifying your birth control or are trying to avoid your period, consult with your doctor first.